Pacific Retail’s Paseo Nuevo Shops and Restaurants demonstrate a standing commitment to the support of Santa Barbara’s arts community. They host the Museum of Contemporary Art Santa Barbara and Center Stage Theater on the dedicated Upper Arts Terrace. The nonprofit group Yes Dance! is also housed in the lower walking arcade. Since their inception, they have showcased public artworks created by the Santa Barbara community, including murals that currently hang at the De La Guerra and Chapala Street entrance. 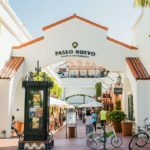 Over the years, Paseo Nuevo has created a stronger, more vibrant arts environment in Santa Barbara, enriching the lives of both residents and visitors. Examples include participating actively in the Downtown Organization’s 1st Thursdays art program in partnership with the Museum of Contemporary Art and KCRW, as well as hosting unique programs in the center court featuring numerous performance, music, and dance groups throughout our community. 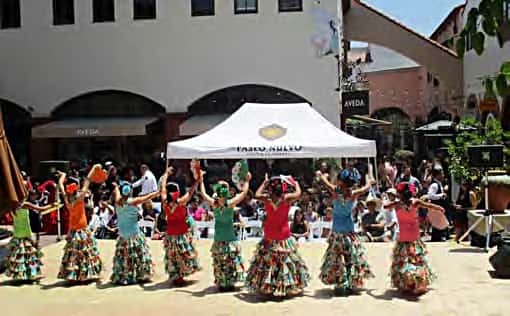 The regular dance and music performances onsite are integral to our community’s celebration of Old Spanish Days. Paseo Nuevo also hosts many art pop-ups and performance art pieces, ranging from the On Edge Performance Art Festival to PuppetPalooza. Additional arts and culture groups supported by Paseo Nuevo include the Santa Barbara International Film Festival and the Contemporary Fine Art Exhibition artist collective. The central court and arts terrace at Paseo Nuevo function as a local arts anchor and gathering space, celebrating arts and culture in the heart of our city. The City Arts Advisory Committee thanks Paseo Nuevo for their arts patronage, and hopes they continue to serve as a dynamic and generous partner for arts and culture in our city for many years to come.